Dear readers, first things first: a happy new year to you! I hope 2015 will be full of many fullfilling spinning, knitting, darning, and other crafty pursuits. I’d like to thank you all for following my blog and leaving me comments; I really appreciate your interest and support. It’s a time for reflection, so I want to share with you some of my 2014 highlights, and also talk about what I have planned for 2015. I hope you will be as excited about that as I am! Looking back at my blog posts, I find I have done a lot of things, and I also realise there are a fair few things I haven’t even got round to share with you. Returning from my parents after Christmas 2013, I had found out about Mary Walker Phillips, who wrote, amongst others, Creative knitting. For somebody who usually does a lot of planning and swatching this was a refreshing approach. After knitting this linen swatch I have been taken her philosophy to heart, and it’s given me a sense of freedom and let things happen as they come. As I always need a balance in my practice, I have also started a jumper with the largest amount of planning and swatching I have ever done. Using these different approaches side by side means they inform each other and make me value them both more than I did before. 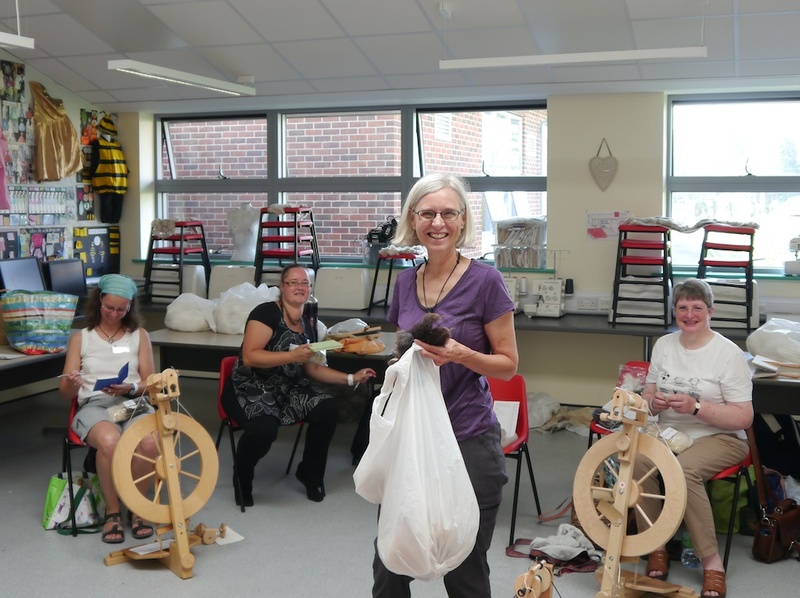 2014 was the first time I went to Fibre East as I really, REALLY wanted to attend Deb Robson’s class on wool types. I almost didn’t make it, as I had an awful flu the days before, but I’m glad I went, as half a year later my head is still spinning (pun intended!) with all the possibilities of wool. Deb Robson is most generous and amazing in sharing her knowledge and knows how to get anybody interested in wool. Unfortunately I did not have much time for spinning since, so this is something I would really like to remedy in 2015. When the textile conservator of the Fries Museum, Gieneke Arnolli, invited me to view their collection of darning samplers, I couldn’t wait to get on the plane! I thoroughly enjoyed my visit and Gieneke’s hospitality. I learnt so much from it I had to write not one, not two, but three blog posts about it. It has inspired me to learn more about repairing cloth in the coming year. Darned Sanquhar gloves, what a treat! I have a bit of a “thing” for the traditional gloves from Sanquhar, so I was more than happy to attend the one-day workshop in Sanquhar itself. 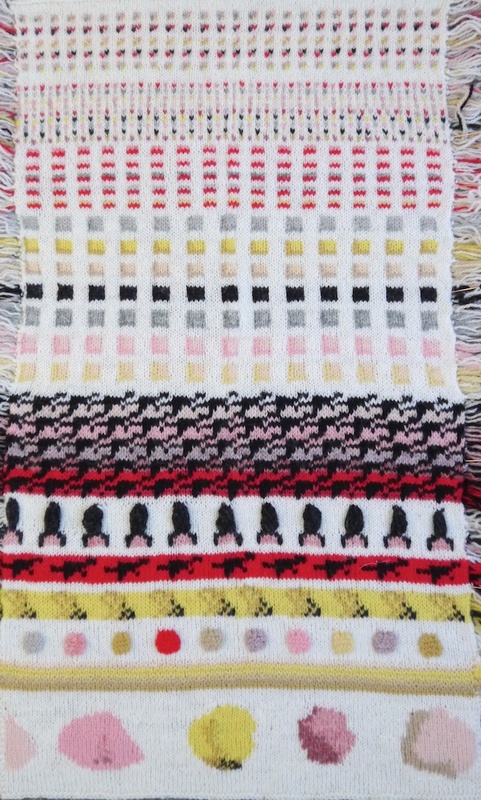 I gave a presentation on the Sanquhar knitting tradition, met a lot of interesting people, and developed a bit of a “thing” for Scotland – to be fair the first seeds for that were sown a long time ago. My comrade in wool and good friend Felicity “Felix” Ford, published a book on how to find inspiration for stranded colourwork patterns in everyday things. She asked me to hack her system and I enjoyed taking on this challenge. As I had helped her out a bit with the book, we have had many conversations on rules and guidelines you can set yourself, and on how strict her instructions in her book should be. I think we both learnt a lot from this, and it has added a new perspective on my quest to be a more creative knitter and trying to let go of rules and planning. Of course my year is not complete without some mending and repairing, and I have worked on two very special commissions this year, so they deserve a special mention. “A Mother’s Work” was a very special repair commission that went much further than simply fixing a jumper. Being asked to repair somebody’s jumper made by her mum who has passed away proved to be a very intimate experience. 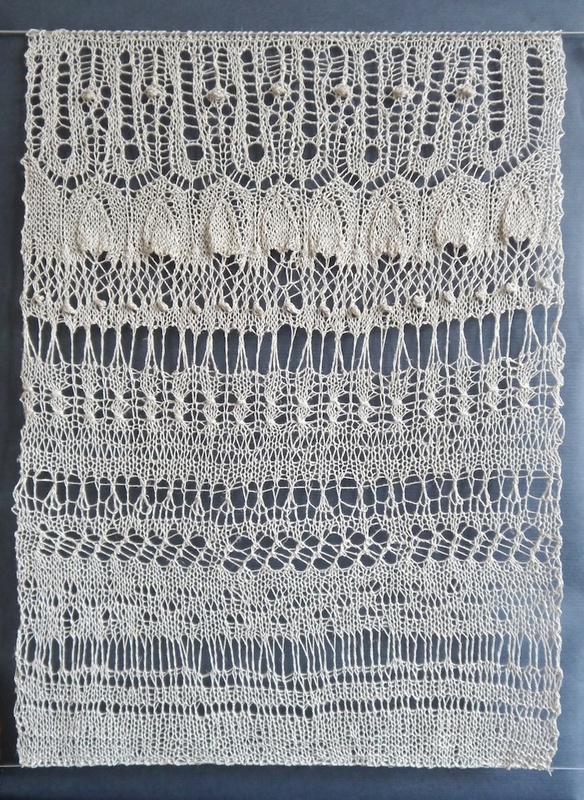 The other special repair was commissioned by the Knitting & Crochet Guild, and it allowed me to use some traditional techniques, which I have highlighted by using naturally coloured undyed yarns. Late last year I met up with my good friend and repair comrade Bridget Harvey, and we have started a repair dialogue. We want to explore the difference between functional and non-functional repair, using a pair of tatty tea towels. 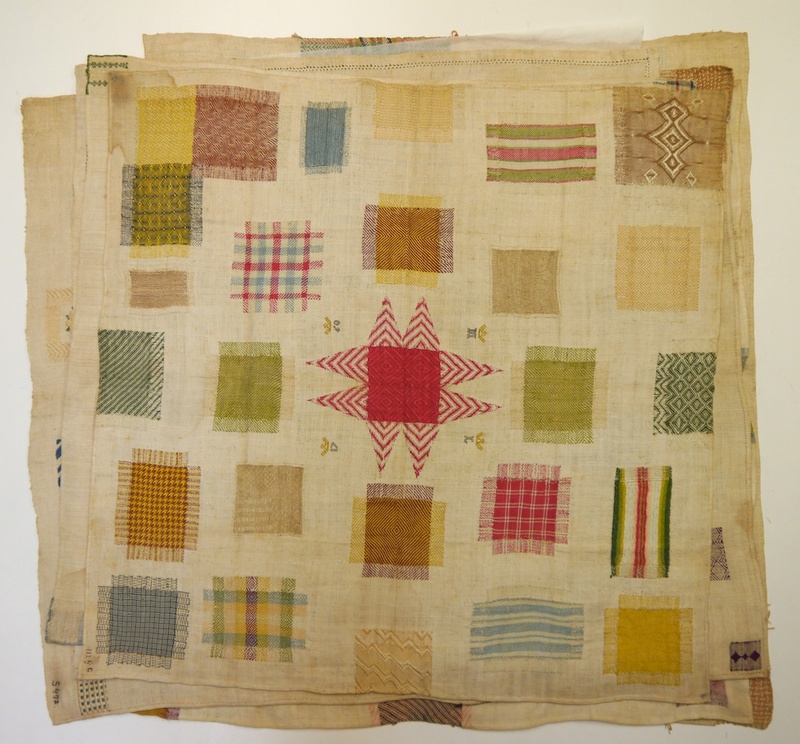 My visit to the Fries Museum has given me an insight in repairing cloth, and also about the way you can learn to repair, and who traditionally performed repairs of household items and clothes. I want to learn more about repairing and darning cloth, using some early 20th Century Dutch lesson plan books I have. Spinning and creative knitting will meet each other this year, as I have a project in mind that involves first spinning up British rare breed fibres, and free-form-knit them up in some sort of mythological cloak. I want to learn more about the role of clothes in myths, sagas and folklore at the same time. There are also some things left over from 2014 that need finishing. Most importantly a Shetland fleece spinning project that’s currently on hold; I have started a jumper in brioche stitch (this is the project I mentioned earlier, for which I’m doing a extraordinary amount of swatching and planning.) 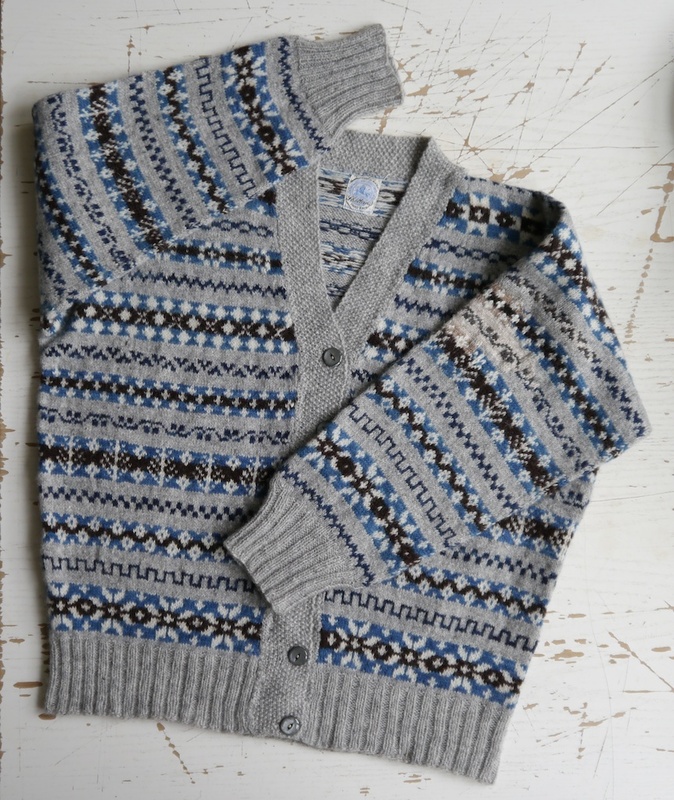 I’m also knitting a version of my Tom of da Peathill cardigan in a more roomy version; I have one sleeve left to do! In summary, 2015 will be a year in which I will be doing a lot of personal, slow craft projects. Some of you may know that I also have a full-time office job, so in order to make sure I get to do the things I want to do to grow as a maker and mender, I have decided to run fewer darning workshops this year. I’m sure I’ll keep myself busy with planned things, and any surprises that might pop up. I hope you are looking forward to a new year as much as I do! I also bought the Mary Walker Phillips book “Creative Knitting” last year and love it! Your linen swatch is very beautiful. I remembered all of your wonderful posts except the linen!! And I love linen, not sure how I missed that but what a curtain it would make!! The Brighton Repair Cafe was fascinating. Good luck in 2015 and keep us up to date! This was a lovely post to read, very inspiring. You might be interested in this French artist, should you not already know her. Talk about creative knitting! Her name is Françoise Tellier Loumagne. Dear Tom- I love all your posts and seeing what you are up to. I have darned a few things this year which has been very satisfying. I would love to learn more. My darning so far is very basic but I repaired my ugh boots with a big red patch; my signature colour. Best wishes for you in your new endeavours. Dear Tom – as I started to scroll down this post the first glimpse of the top photo was instantly recognizable as MWP’s sampler. My treasured copy of Creative Knitting dates from 1989. I once shared an elevator with her at the first STITCHES in Cherry Hill, NJ, and was telling her how much I appreciated the book – she looked at me sternly and hoped it was an Inspiration! You are an inspiration Tom, thank you! The Repair Cafe is a brilliant idea. I may try to organize one in our town in rural northern California. You are so inspiring! How do you hold a full time job? 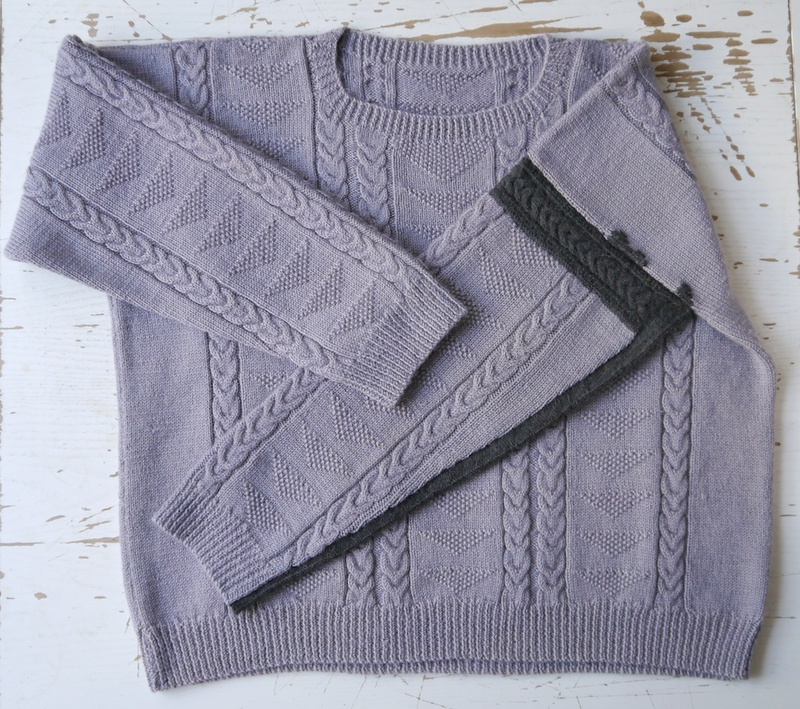 I am a long time darner and make up my own knitting patterns, so love your creative approach. 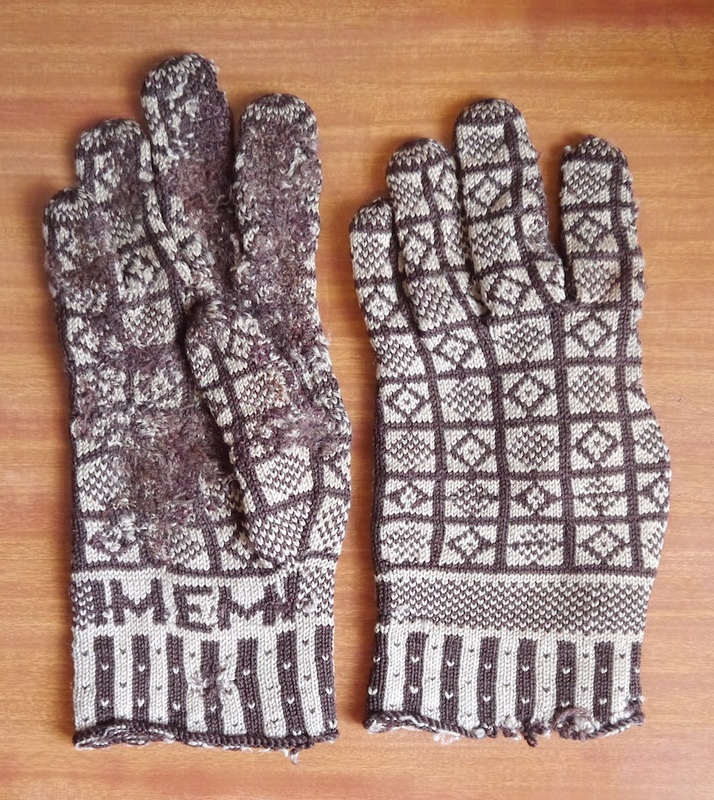 I ordered the Sanquhar glove patterns from the Scottish Womens Coop. Thanks for all you share. Warmest Best Wishes for the New Year from Wyoming USA.